This entry was posted on March 20, 2019 at 7:02 pm	and is filed under Misc. 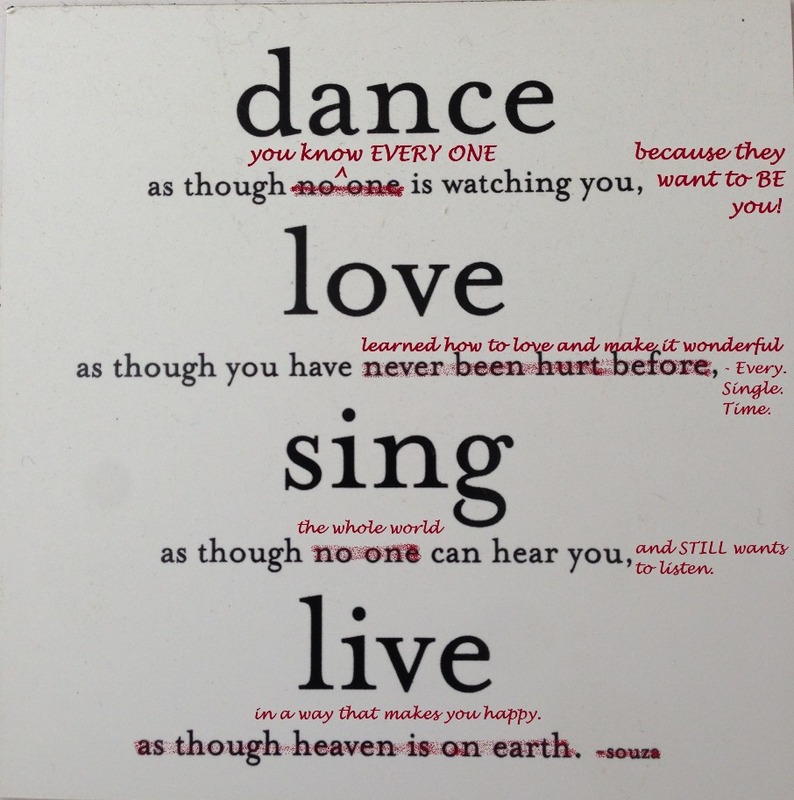 Tagged: dance, life changing statements, Live", love, Nia, sayings, Sing, Souza. You can follow any responses to this entry through the RSS 2.0 feed. You can leave a response, or trackback from your own site. I have been thinking about you as I am trying to learn Soul. I miss you! Your version isn’t going to fit on my coffee mug! I think whatever messages help us break out of our own self-conscious limitations are worth paying attention to. Thanks for shaking up this quote and making it new.